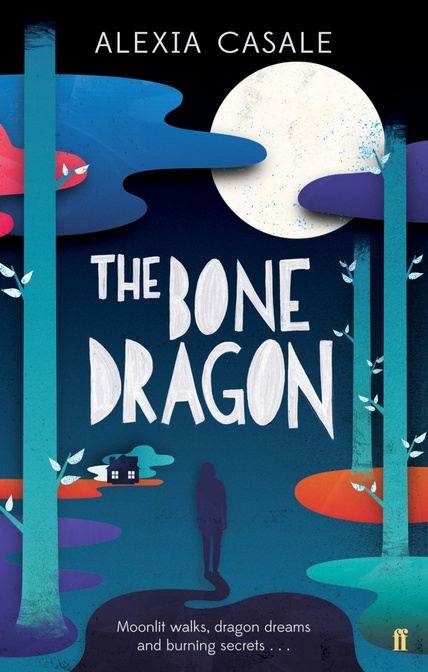 The Bone Dragon in German! Is writing going to make you happy? I don’t believe in writer’s block. All writers have problems with writing. No matter how sensible and practical we try to be about the process – no matter how hard we try to treat it just like any other job – creative work is different. Sometimes you sit down to write and you just can’t. It happens. But you haven’t been struck down by some terribly affliction. You’re not ‘blocked’. Or at least I’m not when this happens. I’m just stuck. Creative Writing students often ask me questions about what they see as the glamour of being a writer: sipping alcohol and discoursing about one’s genius to an admiring cirle of would-be writers, being presented by grovelling artists with potential cover designs, being chased by reporters dying to hang on one’s every word… And perhaps one in a thousand writer’s has an experience like that. Success in sufficient quantities can bring grovelling and people desperate to hear you say hello (what a disincentive to doing well! ), but I expect almost every writer on the planet has reasonably similar experiences when it comes to the act of writing: in short, that it’s infuriating one minute and bliss-and-joy the next. That when it’s flowing and working properly, all is right with the world… and then Life Is Over a the blink of an eye. When students tell me they can’t wait to be respected authors and have everyone know their name, I ask them what aspect of the actual writing bit they love. Quite often they talk about praise. Now, praise isn’t a bad thing to want at all, but if that’s the bit you really love maybe writing isn’t a good career path. Maybe you will get showered with praise, but if you can’t enjoy the act of writing itself you may find you don’t ever finish enough work to sustain a career to keep the praise coming in. Writing as a hobby means you don’t have to push through being stuck. Writing for a career means you do. All Day Long. If you hate that aspect of writing and just want to skip to the praise the finish article may (or may not) garner, you could be setting yourself up for a miserable life. Which doesn’t mean that you shouldn’t write – let alone that you’re not good at it – but perhaps you should think about about whether it’s the right career path for you. I try to explain this to my students at the outset but it often doesn’t sink in until they have to produce a long portfolio piece – a novella, a collection of poems, a full-length script. Some love the idea of having the finished thing but they just can’t stand the process. And that’s fair enough. But it’s pretty important to be honest with yourself about it. If you don’t like the process of writing, is it going to fulfil you as a career? Is it going to make you happy? You don’t have to be a career writer to write. But you may need to change your expectations if you don’t. Getting an agent is often a long, hard slog. So is getting a publisher. And even both of these things are no guarantee of any degree of success… let alone that you’ll get published again. So it’s worth thinking really carefully about why you want to write. It may be that the chances of ever getting enough of the bits you love (or think you’ll love) about being a writer are too low to make all the misery worth it. And let’s face it, writing is miserable as well as wonderful. I think you have to love the infuriating process of writing to have any shot at being happy as a career writer. And if you’re not going to be happy most of the time – or perhaps all of it if you don’t get an agent/publisher or reach the dizzy heights of success you have your eyes set on – is it really a good idea? Maybe you’ll enjoy writing more if you do it as a hobby and just see what happens. It doesn’t mean you’re not a ‘proper’ writer (whatever that is), it just means you’re being realistic about your best chances of leading a happy life. Or maybe, on second thoughts, you would be happy just to be published, maybe, some day. Maybe you’re happy to face the doubts that it will ever happen and be content just to keep trying even if you don’t get there. Maybe you’re more ready than ever to keep on slogging when you get stuck instead of hurling yourself down on the sofa and telling your bestfriend that you’ve got writer’s block (though fair play if you want to hurl yourself down, demand comfort and decide to share a whole tub of icecream before you get back to work). Set your eyes on a career as a writer if the act of writing is going to equate to a happy life for you. If the praise you might or might not receive if you ever get an agent/get published/get your book noticed is what you’re after, then go for it… but maybe go for it with a different career to keep you fulfilled in the meantime. A lot of my writing students who go on to have fulfilling careers and happy lives, come round to this idea. Some of those who don’t, find way to make a living and thrive on the pursuit of their writing dreams in whatever time they can put aside. But some chase those dreams while hating the process of writing. And they tend to be, and remain, pretty miserable. It always seems such a waste to me when they might well find the praise they’re after doing something else… and then discover a love for the process of writing that leads them to success in that too. At the end of the day, if you don’t love writing even when it makes you miserable, maybe it’s time to think again about how devoted to your writing dreams you should be. Determination and perseverance are great things as a rule, but not when they’re just going to lead you to live a miserable life. So one of the big things I try to teach my writing students is to figure out what sort of writing dreams are actually going to equate to happiness in their lives. … Just some things I’ve been thinking about after speaking to several ‘old’ students and hearing what they’re doing now.